All it takes is a missing staple or a broken louvre pin to leave your beautiful shutters looking a sorry sight! Well they needn’t remain that way for long. 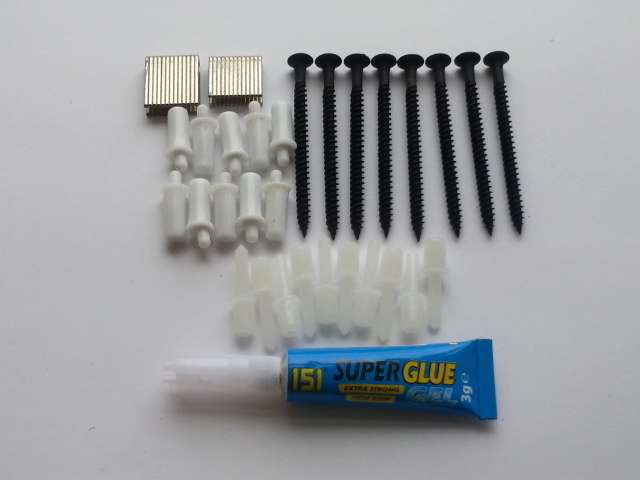 This handy repair kit contains everything you need to get your plantation shutters looking as good as new once again. And if the joints in your shutter panel are showing signs of separating, the panel screws included will provide much needed reinforcing to maintain the panel integrity. Nylon Louvre Pins – 10 no. Replacement Louvre Pins – 10 no. Panel Reinforcing Screws – 8 no.